Ageless. Timeless. Architecturally Perfect. 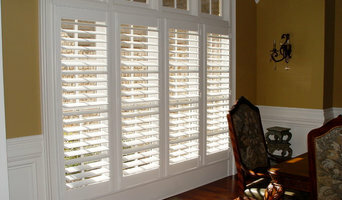 At The Charleston Shutter Company, we establish the benchmark for fine operable exterior shutters. By blending traditional craftsmanship and advanced manufacturing techniques, our fully-functional exterior shutters are built to last for generations. Every shutter is traditionally hand-crafted in high grade woods like vertical grain Western Red Cedar, Mahogany, Iroko and Teak, expertly finished and then dressed with copper capping and architecturally correct shutter hardware. 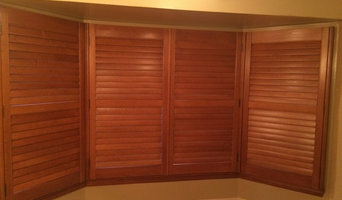 We make custom shutters to fit any home and window including Raised Panels, Louvers, Bahama shutters and Bermuda shutters, and Board and Batten styles. We also offer solutions for arched windows, custom designs and plantation shutters for the inside of the house in traditional and exotic woods. The Charleston Shutter Company’s custom millwork is limited only by your imagination. Products include custom wood storm and screen doors, louver and raised panel walls for outdoor rooms and patios, custom carriage garage doors, lattice and fret work, and high quality stainless steel and aluminum shutter hardware, and carriage garage door hardware. The Charleston Shutter Company is based in the Upstate of South Carolina, and services the entire Southeast region. We also ship our products nationally, and outside of the United States. Contact us to schedule an appointment or to learn more about our products and pricing. Southern Traditions Window Fashions has been serving customers since 1993. Shortly after its founding the ownership decided that they needed to decide whether they would be focusing on always being the cheapest place in town or focus on quality products, people, and processes to serve their customers for years to come. They didn't want to always be chasing cheaper materials, labor and options to be the cheapest, so they decided that offering top quality goods and services delivered by outstanding team members was the direction to take Southern Traditions. Through the years they added to their team of professionals including the current owners Stephen Wisdom, Matt Cobb, and Sandy Williamson. Stephen joined their team in 1997, Matt and Sandy joined in 2005. Even though some of the toughest economic times forced major changes through 2009 and 2012, Southern Traditions was able to survive. In 2012 Stephen, Matt, and Sandy were able to return to Southern Traditions and transition into the ownership role. Since that time, they have renewed the emphasis on quality and professionalism in their business. The team has grown by the addition of veteran consultants with amazing vision to assist customers choose the right treatments for their project. The operations side of Southern Traditions has been able to find talented skilled team members that enjoy spending their days making the dreams that customers and consultants create turn into reality! 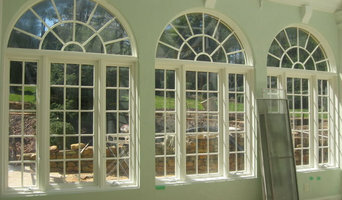 Southern Traditions specializes in the very best window coverings in the industry. The investment was made to become a Hunter Douglas Showcase dealer in 2013 to allow access to the full line of Hunter Douglas products and exclusive offers. In 2013 Southern Traditions also added Lutron to their lineup of awesome products. Lutron is the industry leader in home automation including window shades and blinds. These two vendors are just a part of the entire lineup of quality products that are offered by Southern Traditions. Norman, Graber, Horizons, Kirsch, and Insolroll round out the lineup that also includes several regional and local suppliers as well. Southern Traditions will work with you to ensure that we find the right product for your home on the budget that you choose. They look forward to having the opportunity to work with you on your next project and assisting you in making your dream windows come true! The Fabricsmith, LLC is owned and operated by Karen Ballard, a resident of Greenville and Spartanburg since 1971. Karen's joy of sewing all started in the 6th grade home ec. class when she won the "Thread the sewing machine the fastest" competition. The Fabricsmith is a custom workroom for home interiors with work in the Upstate and Lowcountry of SC. From fine details in window treatments to comfortable bedding, shower curtains, and even upholstered walls. The Fabricsmith motto is "Think Outside the Box." The workroom team has over 40 years combined sewing experience. The personal service offered includes measuring and installation. In addition, all of your needs for pillow inserts, linings, embellishments, drapery hardware, blinds and woven, honeycomb or roller shades can be provided. Karen and the team work closely with designers or the individual to make the design dream come true. We look forward to hearing from you! Internationally-Designed Fabric & World-Class Window Treatments Since 1979, flair21 has set the standard for technical expertise in producing high-quality, wide-width designer fabrics. Our superior fabrics, customer service and state-of-the-art workroom come together to deliver beautifully-crafted custom window treatments. Jeff Brannon entered the window treatment industry in 1987. 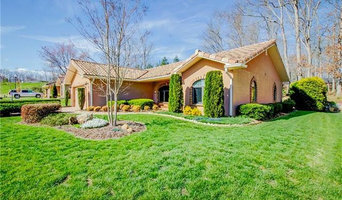 He has established a solid reputation with a client base throughout the Southeast. Jeff is a South Carolina native who holds small town family values. Our Mission is to be honest and professional, provide high quality products, truly serve the customer, and stand behind our products and installation. Hummingbird… The Total Window Treatment Company: For many years the focus of our retail company was our unique plantation shutter. However, our customers urged us to provide more options. Over the last few years, we have added impressive window treatments, as well as resourceful Design Consultants. Today we are a … Total Window Treatment Company. We provide all types of screening solutions around the house. We specialize in custom porches. We can provide retractable screen solutions so you can enjoy the open air when possible and lower the screens when you need bug or solar protection. We also build fixed screen porches. We have a large variety of screen mesh materials available and multiple screen system solutions. We can also winterize your porch so that you can get more months out of your porch. Professional Workroom for Window Treatments and Bedding. Work for designers as well individual clients.